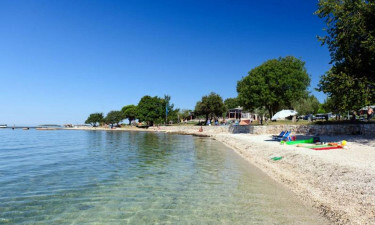 Polari luxury camping site Croatia spans 2 kilometres of glorious beaches in a wonderful cove in the Istrian peninsula. 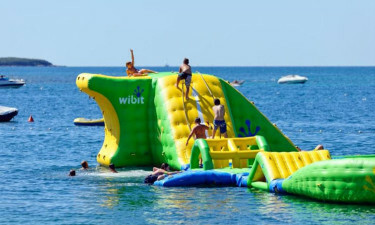 The holiday camping site is just 2.5 kilometres southeast of Rovinj, which is described as having outstanding scenic wonders. This enchanting resort is incredibly popular with everyone who loves the sea and golden beaches. Polari from LUX-camp offers luxury camping in first-class mobile homes, which boast a private hydro-massage tub and a covered terrace in beautiful surroundings. It also has a multitude of recreational facilities. Why choose a camping holiday at Polari? The campsite begins at the border of the shoreline and slowly slopes upwards into a shady pine tree area. There is a choice of spots, so make your booking with LUX-camp right now to guarantee your favourite position! At Camping Polari you'll find a lovely pool area with an adventurous spray park! The big swimmingpool is located just a few metres from the beach and filled with freshwater which will cool you down after a warm day lounging in the sunloungers available for rent. The pool is 1,450 m2 and 1.35 m deep. The children's freshwater swimmingpool is adjoining the big pool, so your family can spend more quality time together. The pool is 0,45 m deep. The highly attractive Spray Park is located in an old olive grove right between the beach and swimming pools. 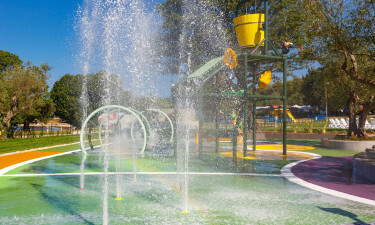 The Spray Park is 600 m2 big and has 3 swimming pools and a water playground - a perfect place for fun for all. 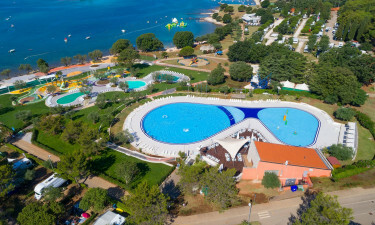 In the Spray Park you'll find a children's pool (100 m2 and 0,3 m deep), a diving pool (100m2 and 3,4 m deep) and sunloungers and parasols available for rent - all pools are filled with fresh water. Choose between shade and sun, pebbles and rocks on a 2 km long beach. The beach is awarded with the blue flag and also has beach showes and sunloungers for rent. Rovigno is very tourist friendly and has many exciting things to do for adults and children. 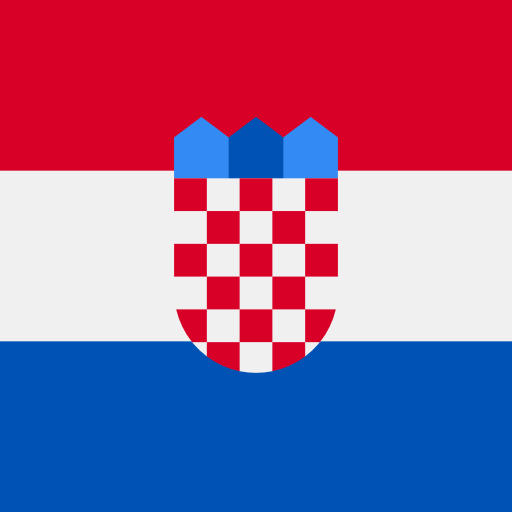 The most popular region is the town centre, which runs from the central bus station towards the charming old town. Here you can find interesting art galleries that are open long hours in the summer season, as well as lots of independent shops and reasonably priced restaurants and bars. There are also a number of inviting clubs. Rovigno's primary road is the picturesque Carrera Street, which is completely pedestrianized, so it is safe for children. And near Valdibora Square, at the town's historic quarters, you can find a wonderful farmers' market with fresh and cultural products. A high-speed ferry link runs directly between Rovinj and Venice, one of the most beautiful cities in the world. There is a wealth of wonderful things to do in Venice, such as taking a gondola ride, or visiting Saint Mark's Square. In addition to this route, in the summer season there are weekly high-speed lines to Cesenatico and the Port of Ravenna. This natural forest has some lovely park fixtures and countless exotic plants. It is a wonderful place that dates back to the end of the 19th century, and can be enjoyed by all the family. There are a number of activities such as going on the climbing site, and seeing the different historical cultural features such as the foresters' cabin, which is now a museum. The Brnistra Grill and the Feral fish restaurant, which both have delicious food and open bars, are at your service. There is a parking lot, a bus line and taxi ship to Rovinj. There is a massage service as well. Car rental and day trip excursions are also available. markets that stock lots of enticing products. There is also a newsagent and specialised stores at your disposal.